Don’t you just love that title? 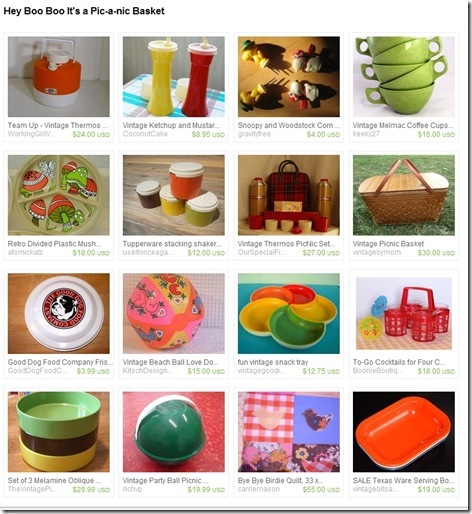 That crazy Love and Dove beach ball that I have listed has been featured in another Etsy Treasury. Yeah! 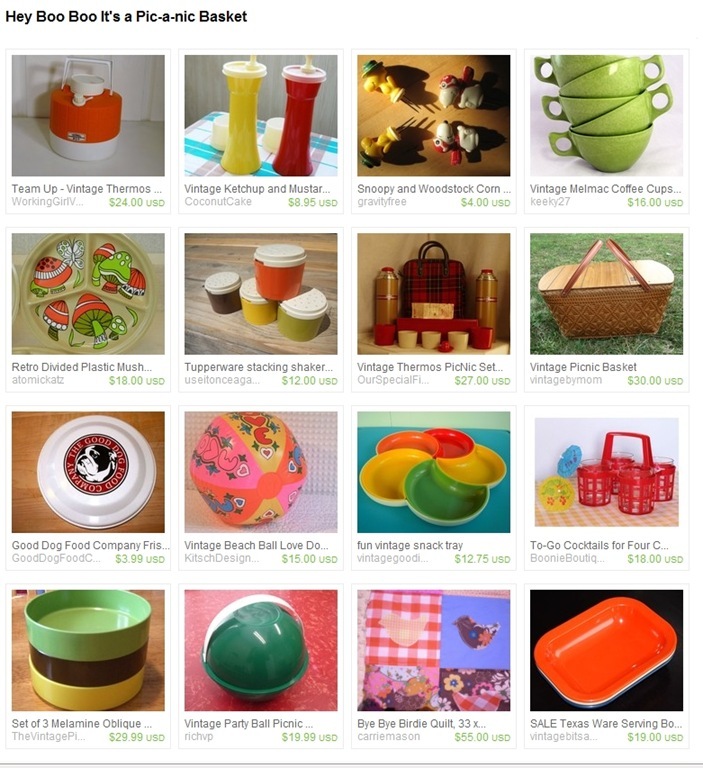 Curated by Fran from Calderagainvintage. 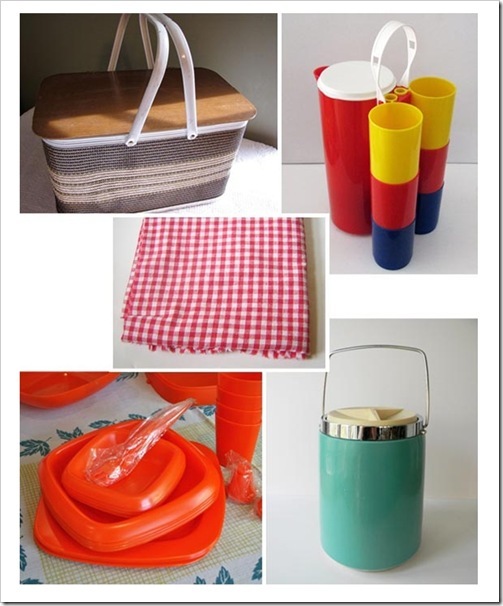 Her shop is stuffed full of some pretty fabulous vintage items. 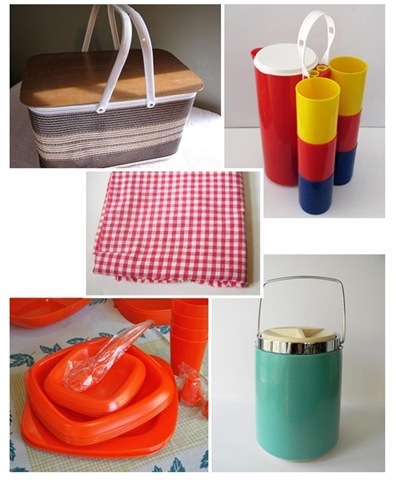 Come check out, Hey BooBoo It’s a Pic-a-nic Basket and leave a comment or make a purchase! Kitsch Designs Etsy Storque Sighting! WhooHoo! 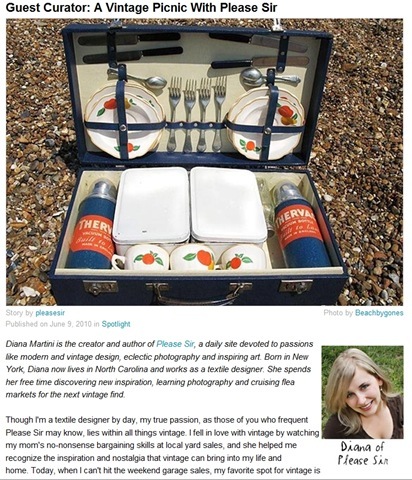 You cannot imagine my excitement when I stumbled upon the Vintage Picnic Storque article with Please Sir this morning. 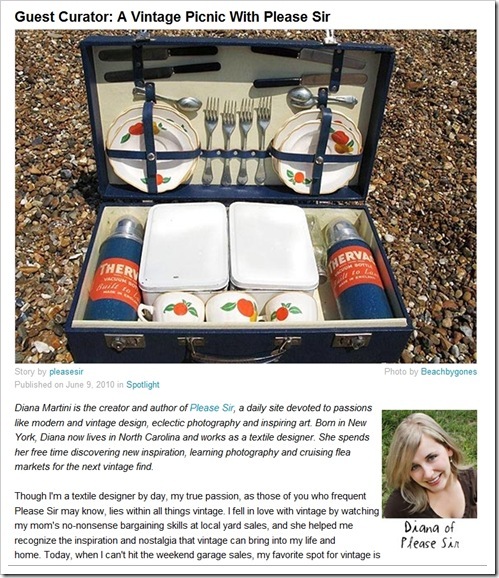 Guest Curator Diana Martini was kind enough to feature my Vintage Picnic Set with all the other lovely vintage picnic items she found on Etsy. Oh yeah, don’t forget to leave a comment!